The human hand is a marvel of biological engineering and is, without a doubt, incredibly valuable. So if you had to cope with a robotic, two-fingered hand for the rest of your life, chances are you would be more than a little nervous. Aside from the “inconvenience” of having your hand spontaneously morph into an artificial piece of metal, thereby sending you and everyone in a five-mile radius into an unabated panic and causing news crews and scientists around the world to ravenously document your mishap, as well as being the subject of discussion and gossip on the Facebooks and Twitters and having your name and accident forever immortalized in a meme, day-to-day tasks would become nigh impossible. Priorities, right? All grippers created thus far have failed to replicate both the functionality and adaptability of the human hand. Until now, that is. However, what may appear to be a serious hindrance in terms of interacting with the world to us humans is, in fact, just another day at the factory for robots in their monotonous lives of ceaseless service. Since time immemorial, our solution to industrialization and mass production has been a series of rigid joints and beams related to our complex fleshy water bags only in name. From welding to car assembly, the situation is the same everywhere you look: Confined and halting movements suited only to one or a few particular functions, with inexorable “hands” at the helm of it all. Want to build something or pick up an object but your current arms and hands aren’t currently suited to that job? Too bad! You’ll just have to build another highly specific robot! Wash, rinse, repeat. The new rubber gripper from EPFL consists of two opposing flaps. These flaps are composed of five layers of material each: Pre-stretched rubber in between two layers of electrodes, all in between two layers of silicon of different thicknesses; this disparity of depth causes the flaps to curve outward when off. Luckily, a few people from the École Polytechnique Fédérale de Lausanne (EPFL), one of the most prestigious research universities in the world based in Lausanne, Switzerland, have come forth to deliver us from this appendage aggravation. 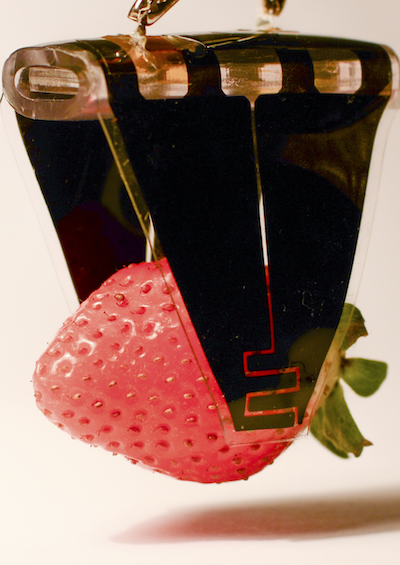 They’ve developed a rubber gripper outfitted with flexible electrodes and embedded with conductive strips capable of lifting objects of almost any shape and delicacy, from eggs and fruit to something a hundred times the gripper’s own weight. 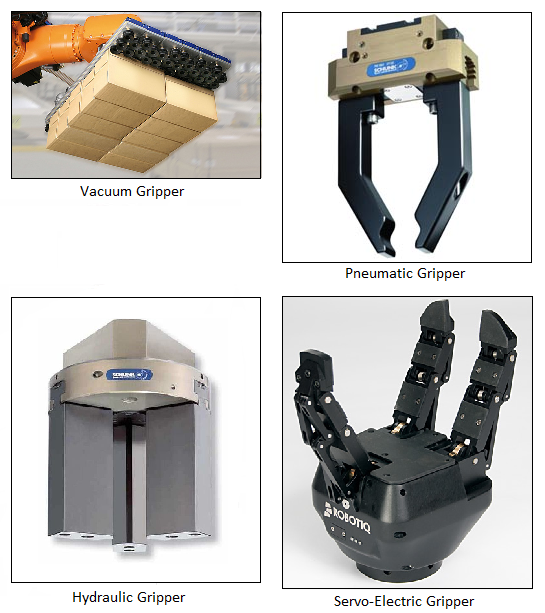 What sets this gripper apart from all of the flexible grippers that came before it is its ability to do this without any calibration or settings beforehand, foregoing tedious measurements in favor of out-of-the-box functionality. —Jun Shintake, doctoral student at EPFL and first author of an article detailing the grippers. The university sees its invention being used in areas from prosthetics to food to even space debris. Admittedly, the gripper doesn’t solve the problem of rigid and metal arms, but it does make some pretty big strides away from it. Once you’re fed up with trying to use your two-fingered hand, perhaps you’ll be struck with the desire to move to the next generation and get yourself one of these new grippers. The price and availability might be a problem, but regardless, you’ll once again be the talk of the town on the news channels and the social medias. This entry was posted in Images, Videos and tagged Adaptable, Grippers, Prosthetics, Robot. Bookmark the permalink. Post a comment or leave a trackback: Trackback URL.